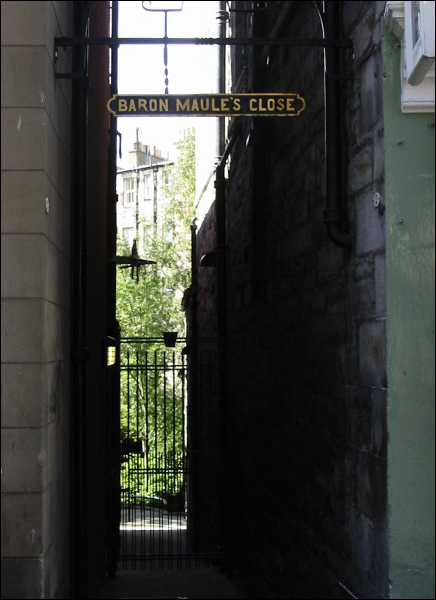 This was initially known as Panmure Close, then became Bassendyne's Close in 1624 after local printer Thomas Bassendyne. Henry Maule purchased a property at the foot of the close in 1711, prior to becoming the Earl of Panmure in 1716. His grandson, John Maule of Inverkeilor, became Baron of the Court of Exchequer in 1748, and his residence here until 1773 led to the current name of the close.